On The Record by Matt Ellipsis. Gifts For Jesus. Soundtrack to the Christmas Stage Play. This is my signature piece! Get The Point from Matt Ellipsis. Matt's September 2018 productivity; 7 new songs for an EP. Matt's productivity for September 2018, 7 new songs for an inexpensive EP. Fill Us Lord Is a Song created by Terrance L. Frederick that speaks of the Incarnation of Christ and His influence that exists in the world to make a difference. The song is a combination of declarations and a prayer of supplication for renewal. Fill Us Lord Is a Song created by Terrance L. Frederick that speaks of the Incarnation of Christ and the influence that exists in the world to make a difference. The song is a combination of declaration and a prayer of supplication for renewal. Apostle Terrance Frederick with 10 Sermons and Rapper Matt Ellipsis with 10 songs. Pastor Michael Weaks is the Senior Pastor of Greater Mission Ministries in San Miguel, California. Matt Ellipsis is the rapper that serves that faith community. m3dots.com for more information. MATT is the FIRSTBORN of three children born from the union of ROCOE & VIVIAN. They loved each other ... then seemingly out of nowhere, yet again, Matt released "Dollar Still Does It". Let's plan to accomplish the CCI mortgage burning with this project. MATT is the FIRSTBORN of three children born from the union of ROCOE & VIVIAN. They loved each other, screwed up their marriage like so many others, and divorced before their 10 year anniversary. Then out of nowhere seemingly, Matt released this album: "Sphere Of Influence". This is pre-release #1. MATT is the FIRSTBORN of three children born from the union of ROCOE & VIVIAN. They loved each other ... then seemingly out of nowhere, Matt releases the 2nd version of "The Matt Ellipsis District" and called it "Two"
Matt is the firstborn of three children born from the union of Rocoe and Vivian. They loved each other, screwed up their marriage like so many others, and divorced before their 10 year anniversary. Then seemingly out of nowhere, Matt released a 2nd version of "The Matt Ellipsis District" and called it "Two", so the name of this project is "The Matt Ellipsis District [Two]". Please enjoy! Matt Ellipsis [The M...]: MATT is the FIRSTBORN of three children born from the union of ROCOE & VIVIAN. Then, seemingly out of no where, MATT started doing music and released this album. Please enjoy! Here are sermons by Matt Ellipsis. Enjoy! Here are several songs from my new album, "The Matt Ellipsis District". 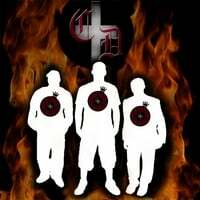 Please download the songs and email me at m3dots@yahoo.com any feedback so that I can perfect them. Thank you for your continued support! Free Downloads from the Conclave Download debut album. Inspirational rap lyrics over potent instrumentals. Unique flow. Put in CD player and enjoy the ride. 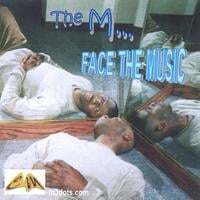 The M... released this CD project in 1998. As you listen to this album, you will become enjoy his level of passion and lyrical finesse.